An American Family is a character driven novel with a family of imperfect people. Each character has issues, the main focus is Isaac. It was hard to like and feel for him. This family went through something terrible that no one should experience but Isaac’s faults just kept coming. The novel is far from perfect: the writing comes off as juvenile and could have been written better. For example, in the first chapter there were constant mentions of the crime shows that Isaac and Ramie watch and enjoy. I found myself wondering what I got myself into… and then something unexpected happened: I became invested in the story! I am from Georgia as is Baer, so I think part of what drew me in to the novel was hearing about locations I know: Whitlock in Marietta, The Chicken and the Egg (I have not eaten there yet, but know about it). I kept wondering if ‘The Big Chicken’ was going to make an ‘appearance’ in the novel. (It doesn’t but that would have been awesome!). I wanted to know how each family member was going to cope and move on from their loss. Many of the twists were predictable, except for that final twist. There is a second book called Life After Death which you will want to start once you finish An American Family. I am listening to it now and should have it done quickly with the review posted soon. 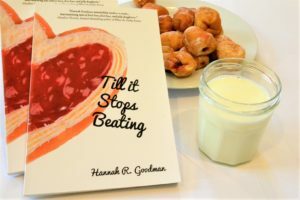 Today I share my review on the blog tour for Till it Stops Beating by Hannah R. Goodman. This one was published on July 5th! Adding to her spiraling anxiety is Senior Project, in the form of I’ve Decided To Write A Book about The Other One That Got Away (And Crushed My Heart). Compounding it all is applying to college and keeping up with her friends. The ever mounting stress eventually rips her tight grip on all that she holds dear. When I found out it was the fourth then things made sense: I felt I was ‘missing’ pieces of information during the first part of the novel. I would advise you to read the others in the series before reading Till it Stops Beating. 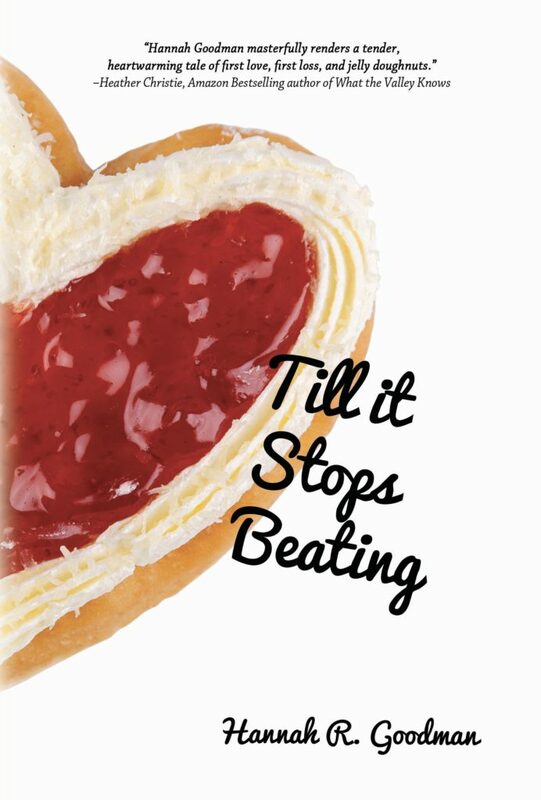 OK, now that that is over…..
Till it Stops Beating is a coming of age novel for Maddie. She is transitioning from childhood to adulthood and along the way faces some difficult issues, among them anxiety and cancer. Hannah also deals with heartbreak in relationships, family issues and of course: jelly doughnuts. The first few chapters had me craving doughnuts! I enjoyed the second part immensely; I felt I really got to know Maddie through the road trip she took with friends. You will laugh and might tear up reading this one. The ending is a pleasant one with hope for the future. And the title just gives you all the feelings once you have finished the novel! 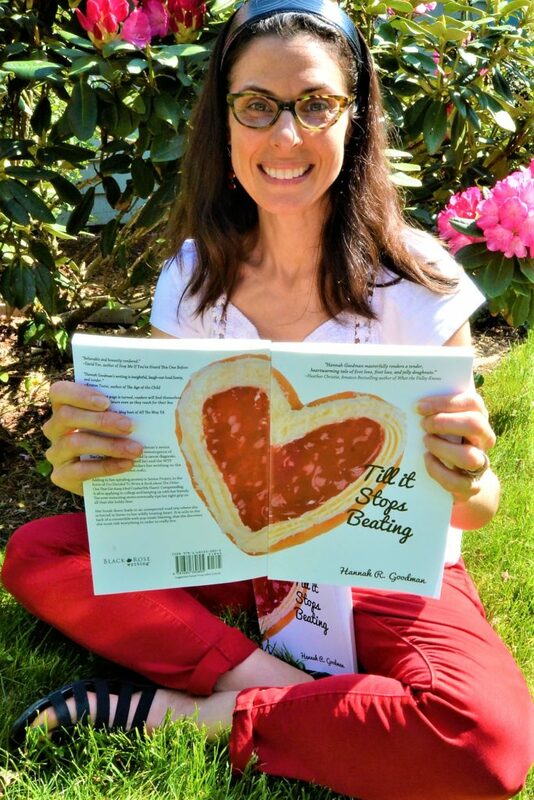 Often referred to as “the teenage whisperer”, Hannah R. Goodman’s twenty-year career working with teenagers includes the titles teacher, tutor, coach, and, more recently, mental health counselor. Hannah has written essays about mental health for various online publications. Her work has appeared on MindBodyGreen, OC87 Recovery Diaries, Zencare.co, and The Mighty. Though she has previously earned the title author with her first three books, the last was released in 2009 and all were self-published. This time around, indie publisher Black Rose Writing released her novel Till It Stops Beating this summer. Hannah’s first YA novel, My Sister’s Wedding, won the first place award for The Writer’s Digest International Self-Publishing Contest, 2004, children’s book division. She published the follow-up, My Summer Vacation, in May 2006, which went on to win a bronze IPPY in 2007. The third Maddie book, Fear of Falling, was released in the fall of 2009 and was praised by teachers and readers for tackling subjects like homophobia and coming out. 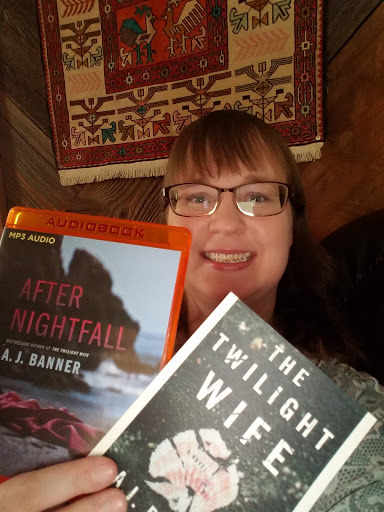 She’s published young adult short stories on Amazon’s Shorts, in an anthology entitled Bound Is The Bewitching Lilith, and in the journal Balancing The Tides. She also has written columns for The Jewish Voice & Herald. Recent, previous projects include Sucker Literary, which features emerging YA authors and All The Way YA, a group blog of writers telling the real deal about writing and publishing YA fiction. Hannah is a member of ARIA (Association of Rhode Island Authors) as well as a graduate of Pine Manor College’s Solstice Program in Creative Writing where she earned an MFA in Writing For Young People. She resides in Bristol, RI with her husband, two daughters, and black and white cat named Zoe. I did feel my attention wander some, not the author’s fault as it is well written, it was the narrator for me. I’m not really sure what it was about her voice, but I know I missed some elements of the story as I listened. The ending seemed abrupt to me. This will be one I plan to listen to again. Maybe it will be better on a second listening. Many thanks to the author, A.J. Banner for sending me an MP3 audio copy which I voluntarily read. 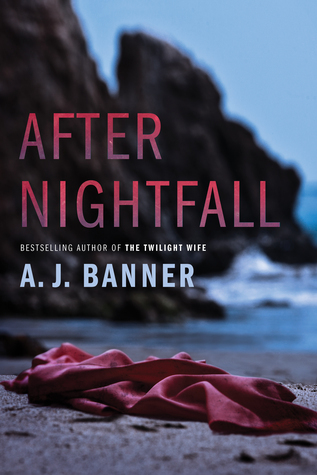 I look forward to reading her second novel The Twilight Wife which I own, but have not been able to read yet.